Rodan + Fields Lash Boost serum is a favorite eyelash thickener worldwide, and as some of the women reveal, the need for quick and easy results drove them into buying the product without carrying out proper research. Most blindly purchased the product, followed the usage instructions and patiently waited for the 4 weeks to evaluate the outcome. Little did they know that this seemingly harmless daily routine would cause grievous harm to their eyes and surrounding areas. Lash Boost was first released into the market in 2016 and in that year alone, the $ 150 price per tube item clocked the company $ 1.15b in sales and $ 1.5 b sales the following year according to WWD . The company was expecting an upward scale in the coming years, but it seems this might just be a dream. 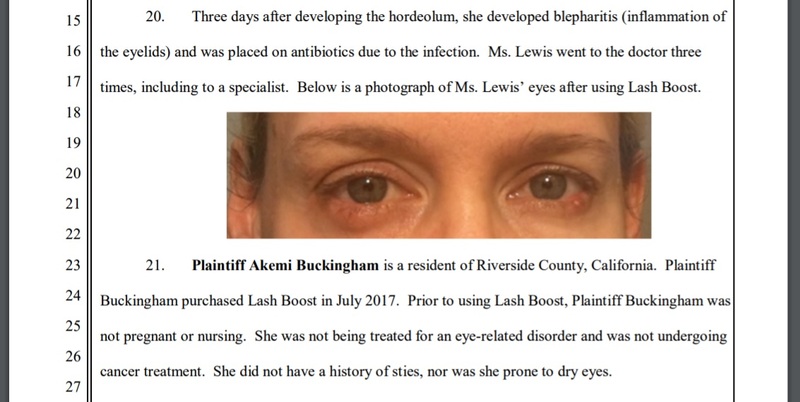 A huge lawsuit has just been slapped to the company and explicitly targeting one of the products presumed to be the lifeline of the company, the Lash Boost. Some women who have used it have complained of detrimental outcomes. They say that they developed nasty side effects that could have been avoided if Rodan + Fields was upfront about its components and possible side effects of their product. 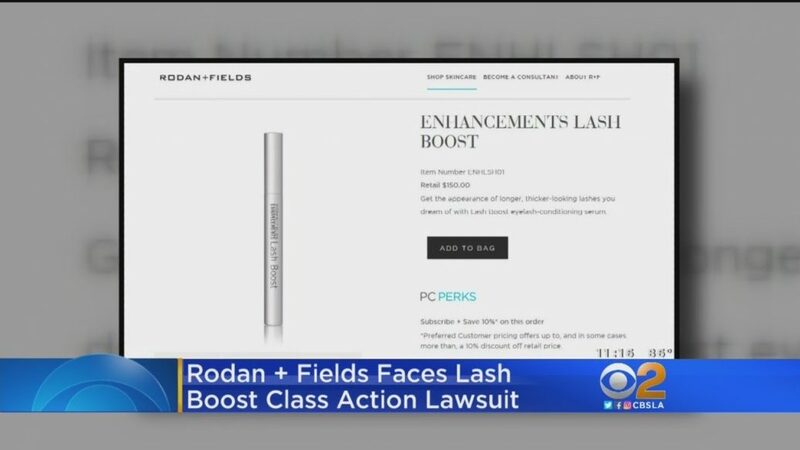 Lash Boost contains the chemical Isopropyl Cloprostenate which is a common ingredient in lash boost products, but Rodan + Fields failed to advise its customers about the presence and the effects of the controversial product. Isopropyl Cloprostenate has received a lot of controversies both legally and in the manufacturing fields, and its use though not illegal has not been fully accepted because of its side effects. The customers who used Lash Boost complained of eye irritation, dryness, redness, flaky skin, burning, and pain. When they contacted the company, the blunt response was that they were not using the product correctly. Rodan + Fields did not reveal at any given time the danger the product posed to its users. Some of the customers who had severe side effects went a step further to research on the compounds used on the resin and shockingly realized they were using isopropyl Cloprostenate without their knowledge. 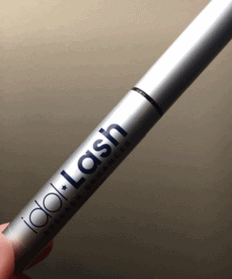 Other companies manufacturing lash boosters have used the compound, and at some point, the FDA had to intervene and insist that such products were misbranded and unapproved. Although this was way before Rodan + Field manufactured their lash booster, the story is the same. The FDA reveals that the continued use of isopropyl Cloprostenate in beauty products can cause not only eye irritation but blurred vision, cysts, and lids clustering. If Rodan + Field had labeled the products accordingly, many of its customers would have approached it with caution. When you check the Lash Boost application process, you will understand why many of the buyers experienced side effects. Firstly, the serum is applied directly to the skin next to the eyes. Although Rodan + Fields warns buyers not to use too much of the serum or get too close to the eyes, accidents do happen. Because there isn't a definite way of measuring the amount to be used, you may apply too much unknowingly. Also, some may drip into the eyes or to other unwanted areas. Another concern is that you have to leave the serum overnight on the eyes. This means that you are giving isopropyl Cloprostenate enough time to work on your eyes and the result is evident the following morning. Instead of waking up to fresh and bright eyes, you will have puffed, red and itchy eyes. Some clients try different application methods thinking that they are doing it wrong. They cannot be blamed because even those who reach out to Rodan + Fields with the concerns are bluntly told their wrong application methods are to blame. This continues the trend until it reaches a point the damage is too much, forcing customers to seek professional help only to realize they have been poisoning their eyes with isopropyl Cloprostenate. 3. What does this mean for Rodan + Fields? Negative publicity is the last thing Rodan + Fields needs right now especially when Lash Boost is one of the products in the company that brings in most of the revenue. Negative publicity means that sales will drop as some of the people cut the product’s use while some will use it sparingly. Also, this lawsuit will raise the issue of trust where all its other products will be affected. Some buyers will shun all products from the company. A possible verdict is when Rodan + Fields will be required to compensate all the customers who have used the product especially those adversely affected. This is in line with the fact that the company misled buyers and gave out false information. You cannot imagine how such a verdict can affect the financial health of the company. Then there is the possibility of either removing isopropyl Cloprostenate as a compound in the manufacture of Lash Boost or completely removing the product in the market. This means a more than $ 1.5b drop in the annual sales at the company. This will not only affect the company, but it's over 200000 distributors worldwide. We may never know what compelled Rodan + Fields to omit some of the vital information that could have shaped the buying trends of its product Lash Boost but one thing is clear, women are not happy with the product. In fact, in Canada, isopropyl Cloprostenate based products are prohibited. Maybe hiding the information did boost sales but what Rodan + Fields failed to admit is that you can never hide the truth forever. As the lawsuit continues and as more women come forward we hope that Isopropyl Cloprostenate will not have lasting effects on the victims. Here's is a video from a reliable news site. You can find some clarity on some of the claims made in this article. What's better than Lash Boost? I woke up with purple bruise like areas on my lid!! I’m so upset!! I asked on FB the consultant if there were any side effects and she lied and said NO!!! Nearly lost all of my lashes, even after stopping use a few months ago!! I used for three months and stopped due to not replacing product because of cost. In two months of not using I have hardly no lashes left! What happened!? I have always had eyelashes now you can hardly see them! My husband has noticed as well as my family! There is something seriously wrong with this stuff! Now I need to find someone to help me with this! Until a couple of months ago I was wearing extensions so could not try it. When I decided to stop doing extensions I bought for me and used for about a month to six weeks. At first when friends or family said “you look tired” I thought “ I probably didn’t get enough sleep or maybe they are saying it because I’m not doing extensions anymore. I never used eye makeup or any real makeup and always had great skin so I just didn’t scrutinize the damage this product was doing. Then I went to a hair salon that I see once every other month. I know hairdressers and they always look to say something nice to clients, it’s who they are. This girl looks at me and says omg Karen you look soooo tired are you ok? All of a sudden it clicked that I keep hearing that and no I am not tired. I look in the mirror closely at my eyes and notice dark circles I never had and bags under my eyes I never had, a puffy area on one lid and a purple bruise on that same lid. I stopped using this product and wrote to the customer care at Rodan and Fields and got no reply. They received it, I’m sure, because the girl I bought it from called me after they contacted her. She said to return the item and she would refund what I spent and she apologized for not warning me that some people can have a reaction. That was weeks ago and still no word from the company. I went out and bought hundreds of dollars in high end eye creams, serums and makeup. Now I have to wear eye lid base to cover the bruise and redness on the lids, eye brightener make up under the eye to disguise the dark puffy circles, a special pink/white pencil in the corners of my eyes and liner and mascara to make me look less messed up. I am going to a dermatologist this month to see if there is anything they can do and now am considering getting cosmetic surgery to correct the way my eyes look but am hoping this will eventually go back to how it was. The fact that the company never even replied that they received my complaint directly tells me more than anything that they are probably talking to their lawyers so they have a real problem. I had no intention of going legal so a bunch of lawyers make money and the people hurt get a coupon. I think I should have been more aware but now I am furious they ignored my email so who knows. I also did not take before and after close ups and hope to reverse the damage over time. I have been using it for about a month. I have noticed that my eyes feel dry and my eye liner does not stay on my lids. i have never had dry eyes before and I look tired all the time. My eyes look dull. it is not helping my circles any either.